Hourly Workforce Time & Labor Management Using Advanced Technology for Scheduling. 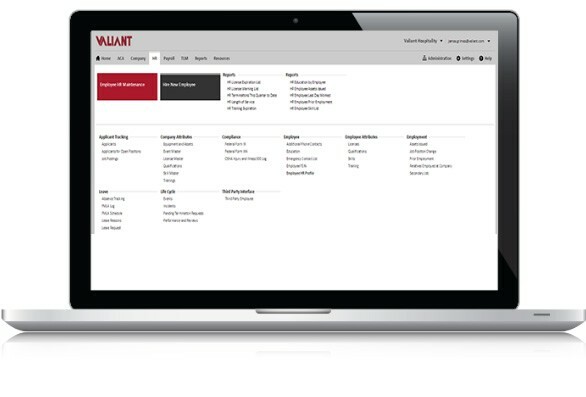 Restaurants that partner with Valiant get specialized time & labor management software & service to maintain workforce compliance. Rely on our expertise with dynamic shifts and job titles, so you can get back to serving up great food and service. Successfully create and maintain rotating and dynamic schedules. 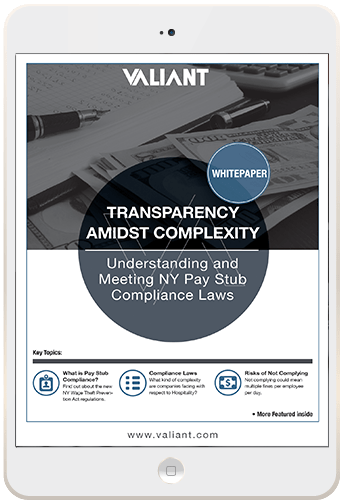 This paper outlines the requirements of the Wage Theft Protection Act pay stub compliance regulation, and includes steps to take to ensure you meet and exceed the regulations.